Pete’s Place Audio is taking advantage of the 125th AES Convention in San Francisco to introduce another exciting product to its lineup, a 500 Series compressor module known as the BAC. Designed by Brad Avenson of Austin, Texas-based Avenson Audio, the BAC—short for Brad Avenson Compressor—is a feedback-style FET compressor built around two discrete op amps and a custom wound output transformer. From the top down, the BAC’s faceplate features a large silver rotary input knob, smaller pots for attack, release and ratio, and a large output knob at the bottom. Additional features include a three-position sidechain contour switch, eight-LED gain reduction meter, and pushbuttons for distortion and bypass. The BAC’s sidechain toggle switch offers a choice of three possible settings: flat, high-pass filter (cut off around 70 to 100 Hz), and an option that somewhat exaggerates the high end while simultaneously cutting the low end. “The overall effect of this third setting is somewhat like a de-esser fed into the sidechain, but it’s a little wider than that and quite good for taming a variety of things that are overly bright,” Avenson notes. 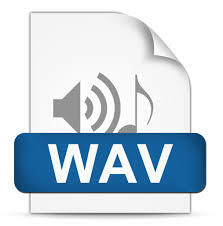 These are audio files sent to us by Robert George from Sound Temple Studios in Asheville NC. Robert recorded singer Paula Hanke with a CV-3 Mic. The Bass Player, Michael Hynes recorded the bass at his studio (Nomatic Studios) and sent the files to Robert. These files are showing the BAC on Vocal and Bass tracks and comparing them to other well known compressors.